Our Flapjack Fundraiser is rapidly approaching! Please email ASAP , but no later than 1/25/19, with the number of tickets you have sold or plan to use for your family (money is due 1/30/19) Tickets were emailed and distributed during band class/percussion rehearsals). I have attached the flyer and more tickets in this update as well. We have decided to extend the deadline for the flapjack fundraiser ticket sale until Friday of this week, that would be the 25th. 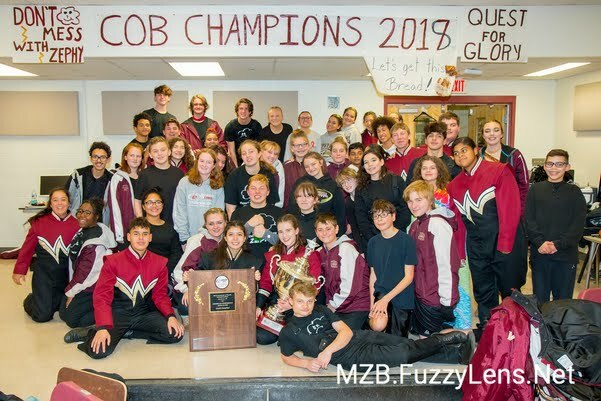 We understand that it is County band, this fundraiser was scheduled a year in advance and we would really like to make it a success; we need your help in doing this. Please join us, family and friends, for the flapjack fundraiser scheduled for February 2nd at Applebees. We hope to see you there. Attached is the SignUpGenius volunteer link. Please read all the information carefully prior to signing up for a position. Once you have signed up, I will email you a Waiver/Release Form to be completed and returned by 1/30/19.